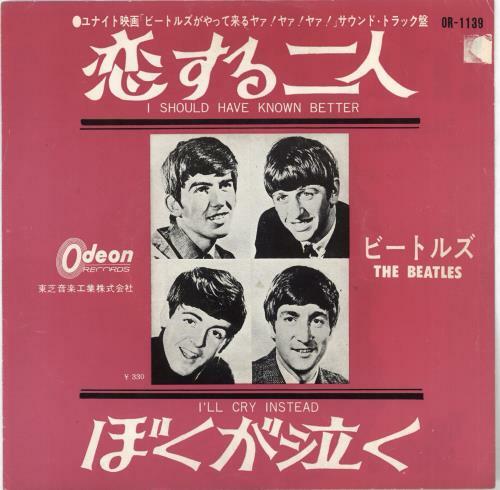 THE BEATLES I Should Have Known Better (1964 Japanese first issue 7" vinyl single on the black & silver Odeon label with 'MFD. 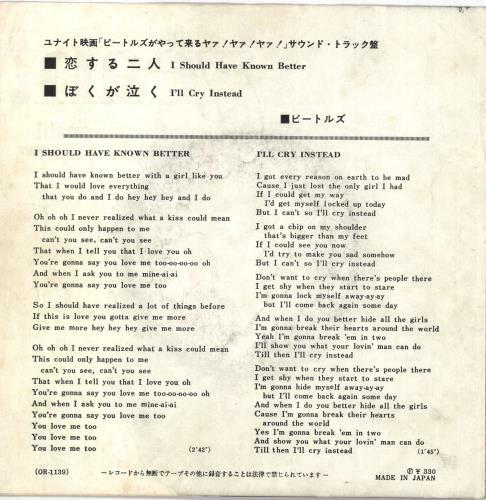 By Toshiba Musical Industries Ltd.' perimiter text, also including I'll Cry Instead, wrap-around pink picture insert with 'F � 330' price point printed on the back, lyrics on the reverse and a nice montage of stills from the film 'A Hard Day's Night' inside. 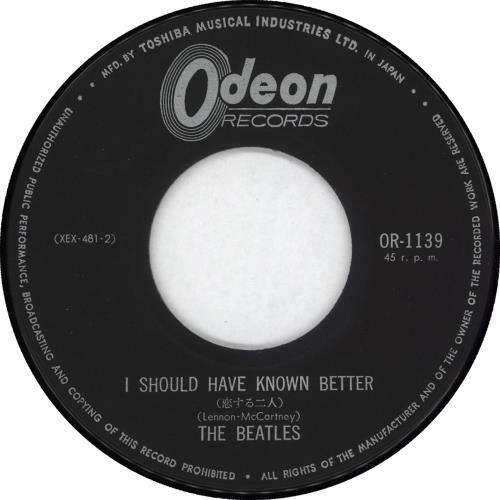 The insert has some light creases and a small sticker mark in the top right corner, whilst the vinyl remains excellent with only a little light signs of play, an ideal play copy OR-1139).